Inner Balance is a space for wellness using a combination of western and eastern practices. Our professional therapists design massage+bodywork to meet your specific needs. Whether you’re visiting for chronic muscle pain, post surgery or injury, or just to relax and enjoy our services. Our treatments are designed for self-care, promote wellness, and to bring balance to your daily rituals. Our wellness retail fosters positivity and self-care and creates an easy wellness transition from our spa to your home, work or when you are on the go. Our skilled therapists are certified to practice in the state of Indiana. We have the professional skills, experience, and knowledge to offer customized treatments that are designed to nurture your overall well-being and state of balance. Each Inner Balance professional has their own approach to bodywork and uses a combination of their training and education to tailor treatments to meet your specific needs. We are passionate about your health and promoting inner balance, visit us to experience a treatment built with genuine care. Becca is inspired by how the body moves and works to find inner balance. With a background in movement based performance art and dance, she quickly became passionate about bodywork therapies. Her experience and background includes being a massage instructor teaching clinical massage therapy, practicing massage therapist working with athletes from all of the U.S. managing pain and muscular alignment to community members interested in relaxation. Becca continues to collaborate with healthcare practitioners and healers to bring balance to the body and the mind while providing the highest quality, professional, therapeutic massage to each client. Becca works with a wide range of clients with varying goals of pain management, pre/post surgery, or simply to relax. Her studies include Swedish, Deep Tissue, Neuromuscular Therapy, Myofascial Release, Lymphatic Drainage, and Clinical Massage and Sports Massage. Each therapeutic massage is a combination of modalities providing a custom treatment. Becca believes every person is unique and every massage should be as well. Her massages are each designed to meet the goals and specificities of each client creating a custom massage. Beth approaches massage from a wholistic point of view combining her skills as a licensed acupuncturist and her training as a certified massage therapist. Her experience, training and approach to healing blends Eastern and Western philosophies. 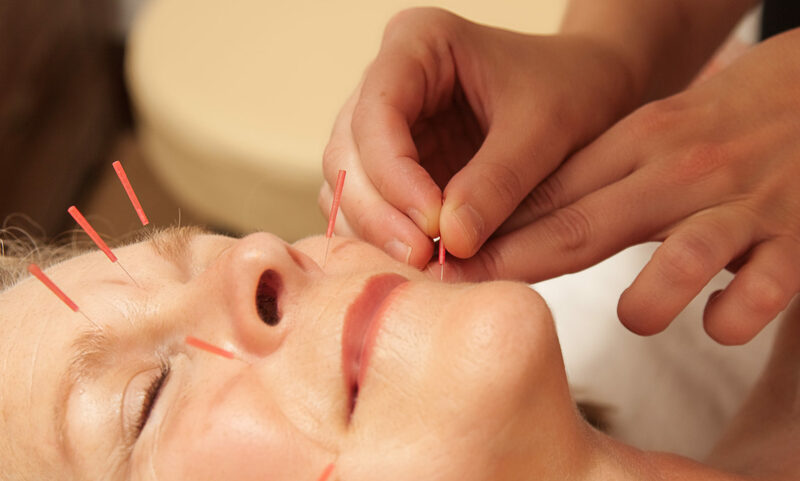 Beth carries a Master’s Degree in Acupuncture and Bachelor’s Degree in Health Science from the Academy for Five Element Acupuncture in Gainesville, Florida. Beth graduate from the massage therapy program at John A. Logan College in Southern Illinois, and later studied an advanced certification in Thai Massage at the Sacred Bodywork School in Miami Beach, Florida. Beth uses her Chinese Medicine studies, a blend of Eastern and Western approaches to the body, and an array of resources to bring a healthy balance to each of her client’s whole body. Gina is a certified massage therapist specializing in Deep Tissue, Myofascial, Trigger Point, Swedish, Neuromuscular, Muscle Energy, Yogic Alignment, and Breath Work Techniques. Gina has both a natural intuitive spirit along with professional tools under her belt for assessing the body allowing her to create a treatment experience for you. She has been a professional massage therapist for nearly twenty years – graduated in 1998 from the Brian Utting School of Massage in Seattle, Washington. Gina is a highly skilled massage therapist as well as a jazz singer and yogini. Her massage experience ranges from full body deep tissue techniques, smoothing out those trigger points or stress knots throughout the body, to relaxation treatments and integrating spa therapy techniques or specific, custom treatments designed to focus on your individual needs. Gina studied yoga at Nosarananda Yoga-Nosara and often weaves her yoga modalities to assess your body and design a holistic approach to reach your body’s massage therapy needs. Rachel is inspired by how quickly massage can make a difference in our lives. Not only is Rachel a skilled certified massage therapist, she has an extensive dance and ballet background and is a certified personal trainer. Since 2006 Rachel has been working in the health and wellness community and her expertise is crafting a massage that is specific for each person. She exudes positivity and shares her multifaceted resources in her crafted massages. Some of her massage specialties include Activation Exercises, Active Release, Active Stretching, Deep Tissue, Lymphatic Drainage, Myofascial Release, Neuromuscular Therapy, Postural Release, Sports, Swedish, Trigger Point, and Guided Meditation. Rachel believes in the Inner Balance approach to designing a treatment to meet the goals and specificities of each client creating a custom massage.